Don't know if I should start a new thread for this, but here goes. I saw the movie!!!! It was very very lovely. The cast was very good. Orlando was wonderful. Condola was a great Juliet. There was not enough of shirtless Orlando. The passion, what they showed, was very passionate. There was no bedroom scene. The time flew by, the staging was simple and spare and very effective. I enjoyed the music. The party scene rocked. The language, of course, was very beautiful and they presented it in a very natural and unaffected way. In short, I'd give it 4 stars out of 5. Very very nice. When the DVD comes out, I will probably buy it, it's definitely worth multiple viewings. I wish I was a better critic. You did great, Aliza. Thanks for sharing your impressions with us. Sounds like you had a fabulous time at Romeo and Juliet. I'm delighted you got to see it, and experience Orlando's Broadway debut on film. Ahhh! Luck was on my side and I actually got to see it this afternoon! I was able to exchange my ticket from Thurs night for the one today. Aliza, your review was great and I agree with everything you said. Orlando and Condola had good natural chemistry and both did a great job of portraying their characters' passions and impulsiveness. And yeah I wish the shirtless Orlando bit was longer too. Couldn't they have waited until closer to the end of the scene for him to put his shirt back on? I thought the whole supporting cast was very good. Juliet's nurse and her father had some funny lines. I had forgotten how funny Romeo and Juliet can be. Mercutio was funny too, but the actor's interpretation was pretty risqué and I hope that any parents who brought their children to see this play to introduce them to Shakespeare didn't find him too vulgar. I thought the direction for the screen job was very good. There were some close-up shots of the actors to show the nuances on their faces. 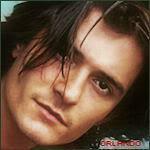 (Of course a few swoon-worthy close-ups of Orlando ). Which is something most people at the theater wouldn't get to see. But the director also pulls the camera back when they change the scenery and certain scenes to make it feel like you were at the theater too. So I really hope that this does come out on DVD soon so everybody can see this. I definitely recommend this for all Ka-Bloomies as this is one of Orlando's best performances. They show Orlando outside the theater signing autographs, proving once again what a sweetheart he is. Marilyn, thanks for sharing your impressions. I'm delighted that you were able to exchange your ticket and see Orlando & Company this afternoon. I was so nervous before it started, but there was no need. He was wonderful. We had gorgeous curls, massive amounts of dangly bits, tight ripped jeans, and a nicely fitted shirt. GAH! He removed this shirt once. . . double GAH! His mastery of the Shakespearean language was beyond words. The smooth way he handled the joy, the laughter, the anger, the ups and the downs of the play? Marvelous. It was really difficult to watch the death scene at the end. I mean seriously, just thinking about harm coming to "The Pretty" had me upset. I've heard that the actual performance was 3 and a half hours, but the film had been edited down to just two. I'm not sure how I feel about missing out on 1 and a half hours of Orlando, but it wasn't up to me. I don't know when the DVD will be available, but I plan on purchasing a copy. Thanks, Pam, for sharing your glowing review. I'm thrilled that you got to see Orlando in his Broadway debut. Thanks for your reviews ladies. I didn't realise they would have to edit it down by so much. Is that why there was no bedroom scene? How well does the story flow with so much missing? More to the point, does anyone know if the whole thing will be on the dvd? Thank you so much Aliza, Marilyn and Pam for your wonderful reviews of Orlando's performance and Romeo & Juliet! After reading them they have gotten me even more anxious to see this and I am hoping and praying we hear of a DVD release very soon. I did some checking. The running time for the R & J revival was 2 hours 15 minutes. So the film version, edited to 2 hours, cut out only 15 minutes. Yeah, I was about to say that the play ran just over two hours, not anywhere close to three. Thanks for confirming that Barbara. And I honestly can't remember what scene they could have cut. I certainly don't think that they cut any of Romeo's scenes. The Capulet party scene may have been trimmed a bit? Maybe? There was no bedroom scene in the stage production, so don't worry about missing that. We had a micro-mini Damn Yellow Rose reunion, and saw it again on Sunday. I'm so glad that they are releasing a DVD so that we can enjoy our amazing Romeo for years to come. There were a couple of differences in the video, compared to when I saw it live. - he wasn't able to play with the feather the night they filmed. He caught it, but it just blew behind him. The night we saw him, he was able to keep the feather aloft almost til the end of his speech. - the best change was that it took him a bit longer to get his shirt on in the video. I really enjoyed seeing this again. And I can't wait to buy the DVD so that I can watch it again, and again, and again. I've loved reading all the reviews, and I agree with everyone. I saw it Sunday, and have been trying to gather my thoughts for a review. When I left the theater my thoughts were running like,"sensory overload, don't break the spell, and how was wonderful it was to see him perform on stage as he was trained to do." There was comedy all through the first part of the play. It wasn't all in words either. It was facial expressions and reactions to something done by another actor, Some of Romeo's reactions were priceless. When it turned to tragedy, it was almost unbearable to watch. I don't know which scenes might have been cut, but I thought the production was brilliant, and can't wait for the dvd. And as has already been mentioned, if you're lucky enough to get to see it, stay after the curtain falls. It was the best night I've had at the movie in years. Cayenne, thanks for sharing the stage play-film differences. I had remembered in one of Orlando's interviews his saying that the play ran a little over 2 hours. I thought I'd check running time, and was able to find it. Glad you got to see it on Sunday. Serendipity, so happy you got to see the film. It sounds absolutely glorious. Please let us know when the DVD will be released soon because I am practically bouncing off the walls wanting to see Orlando as Romeo! Thank you Cayenne and Serendipity for your wonderful reviews! Thank you to all the ones who got to see Romeo and Juliet in the theatre and provided the lovely reviews. Romeo and Juliet will be shown in theatres in Canada in March 6 and I have already purchased my tickets. 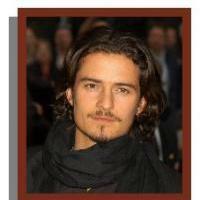 I am so excited to see Orlando as Romeo. Are there a lot of close ups of Orlando in the film? 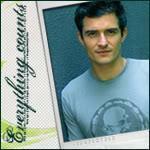 I can't wait to see Orlando and Condola and the love scenes. Thank you also to Cayenne and Serendipity for your wonderful reviews. I hope the DVD release will be announced soon because I will be buying a copy. Thank you also to Aliza, Marilyn, and Cinemapersians, for your wonderful reviews. I hope March 6 comes fast because I am excited to see Romeo and Juliet. How did Orlando look when he first shows up on the motorcycle? How was the death scene? How was the chemistry between Orlando and Condola? I am glad it will be shown in theatres in Canada. Thanks everyone for their review! I was unable to get to the movies to see it but am glad to read about it through your reviews. I hope I get the chance to see this on DVD. Wow, I've been under a rock (as usual) I thank you all for the reviews and I will be buying this on DVD. 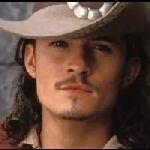 Are there a lot of close ups of Orlando in the film? Kimberley, there are some close ups of Orlando as Romeo, but never enough. How could there ever be enough? I enjoyed how passionately he played his part immensely. Whether he was being funny, sad, upset, disgusted or terrified he demonstrated the perfect emotion. He is so talented it is beyond words. Not just a pretty face, people. How did Orlando look when he first shows up on the motorcycle? How was the death scene? How was the chemistry between Orlando and Condola? The death scene was difficult, partially because I knew it was coming and partially because I never want to see him hurt (even if he's just acting). I thought Orlando and Condola had amazing chemistry. They also played the parts as the youths they are supposed to be, a bit impetuous and childish at times, rational adults at others. They both really did an excellent job. I can't wait to purchase the DVD to see it again. Oh, and one more itty, bitty, thing. . . I asked the theatre staff what they were going to do with the movie poster after the short (just four days) run was over and they said they would probably toss it. . . so I asked them if they would be willing to give it to me. They said YES, and I drove over to collect it yesterday. Pam! That is awesome that you got to keep the poster! Thank you to all that gave shared their reviews on here and I will be hoping, praying and keeping my fingers crossed for a DVD release. Pam, thanks so much for your excellent review, and big "Congratulations" on snagging the theatre poster. Well done, m'dear! Believe it or not, R&J is coming to the big screen - in Hamburg! It's only in one cinema and only one evening (original language with subtitles in German) on the 1st April and this is, unfortunately for me, a tuesday where I most probably will not be able to attend . Well, maybe, I'll try anyway. I saw Romeo and Juliet and thought it was fantastic. 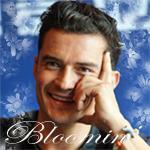 Orlando as Romeo was fantastic and Condola as Juliet was fantastic. I loved it when Orlando makes his entrance on his motorcycle and takes off his helmet. He looked gorgeous. I was teary eyed at the scene when Romeo gets banished from Verona. When watching Orlando in this scene, he really did an excellent job displaying his emotions. You could feel his pain through his body language and facial expressions and that he may not see Juliet ever again. The fighting scenes were well done. I loved the dancing scene when Romeo first meets Juliet. You can see that there was a lot of chemistry between Orlando as Romeo and Condola as Juliet. When he first sees Juliet, you can see on Orlando's face that it was love at first sight and you could also see on Condolas face that it was love at first sight. Orlando was the perfect Romeo. Orlando you can see was meant to be on stage because he has an excellent stage presence and I thought that he did an outstanding job in his performance. I really got teary eyed at the end scene when Romeo and Juliet take their own lives. Even though I knew this scene was coming, I still got emotional because Orlando you could see was distraught and devastated that he thought his love was dead and it was even more emotional when Condola wakes up and sees that her love is dead and then she takes her own life. I am glad I got to see this because the way it was shown, it felt like being in the actual theatre watching the play. I thought the whole cast did an excellent job. I really liked the nurse because she was funny. The fighting scene between Romeo and Tybalt was well done. I was mesmerized watching Orlando as Romeo and I hope he does more theatre because he is very gifted and an excellent actor. I noticed he really displays his emotions through his eyes. I hope all of you get to see it in theatres. Orlando also is very physical in his role as Romeo. He is very athletic. I loved seeing Orlando shirtless even though it wasn't very long. Condola looked beautiful as Juliet. Romeo and Juliet is my favorite Shakespeare play and I definitely want to buy it when it comes out on DVD. I hope it will be released soon on DVD. The production was well done. I hope my review was good. It is hard to describe it all because it is hard to put it all into words. Thanks for sharing your review, Kimberley. It all sounds quite wonderful. And Raven, I hope things work out for you to attend R & J in Hamburg. Will keep my fingers crossed for you. Kimberley, I'm so happy you were able to see the play, and that you enjoyed it so much. I know what you mean about putting your thoughts of the play into words, but you did an excellent job. Kimberley, you did a great job with your review and you me wanting to see this even more than I did before. So I will echo Serendipity and say DVD PLEASE! Thank you so much Kimberley for sharing your review with us.